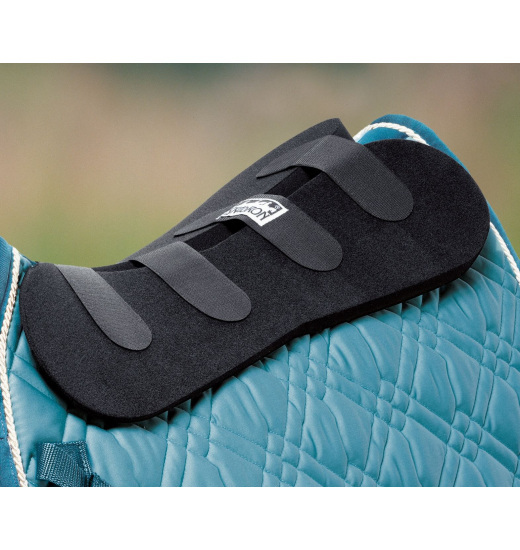 Pro-Balance Pad consists of two parts, which are connected with four Velcro closures so you can adjust it according to your needs. 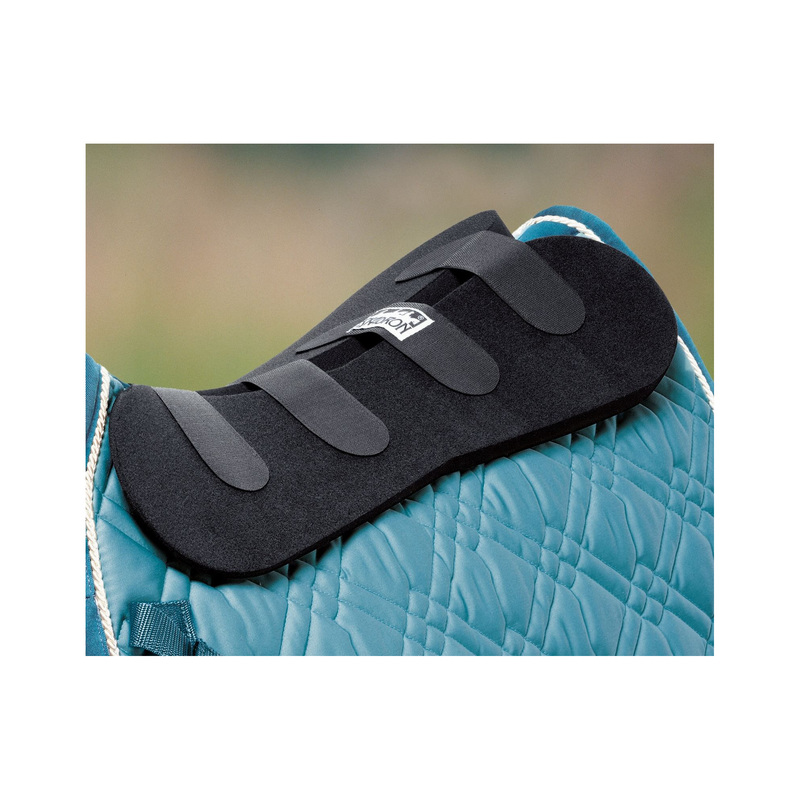 The bottom of the pad is made of non-slip material so that the pad is kept permanently in place. It has a height of 0.5 cm and reaches 2.5 cm in the highest point . As a result, the saddle can be located in the optimal position for the rider and for the horse.